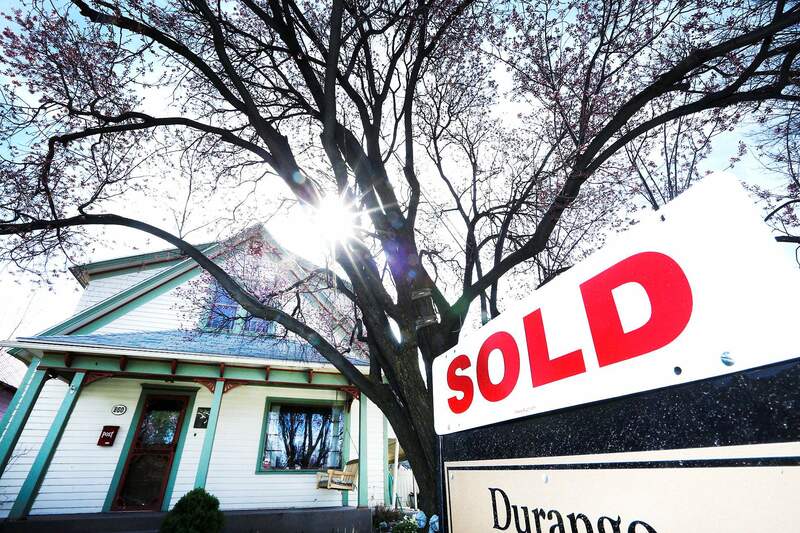 In Durango and La Plata County, the number of homes sold in 2018 fell compared with 2017, but median home prices increased. A slew of factors is constraining the construction of new houses as retiring baby boomers and second-home owners who find La Plata County a desirable place to live push home prices up to levels at least one broker sees as unsustainable. “We’re seeing fewer residential transactions from a combination of things. Inventory is a major factor,” said John Wells, owner/broker of the Wells Group. 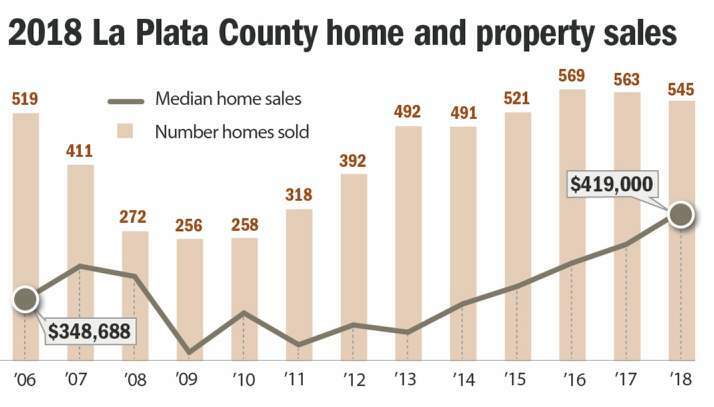 According to statistics released by the Durango Area Association of Realtors, the number of homes sold in unincorporated La Plata County in 2018 dropped from 563 in 2017 to 545 in 2018, while the median price jumped from $392,500 in 2017 to $419,000 in 2018. 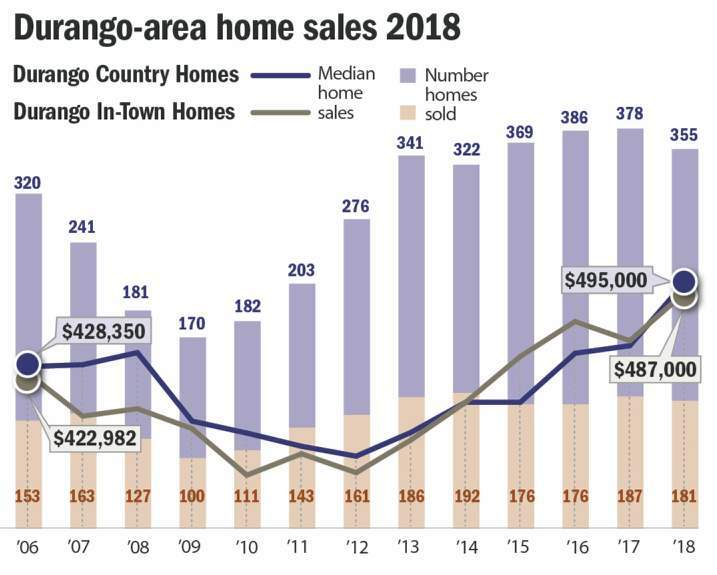 A similar trend was seen in Durango, where the number of homes sold dropped from 187 in 2017 to 181 in 2018 and the median price increased from $449,000 in 2017 to $487,000 in 2018. Heather Erb, managing broker at Coldwell Banker Heritage House Realtors, said the rise in the median home sale price from 2017 to 2018 is “unsustainable.” The market likely will respond either with homebuilders producing more homes or with buyers balking at paying higher prices. 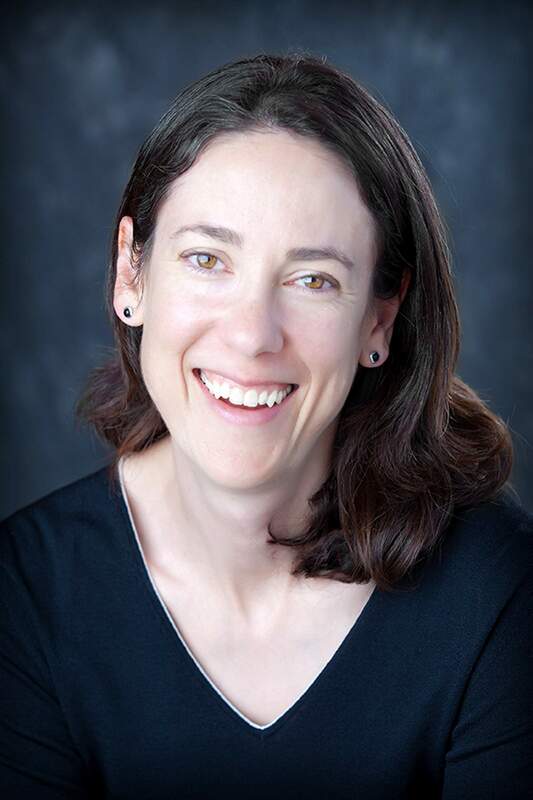 While she expects Colorado’s economy to remain strong, she said a slight cooling in the economy could lead to buyers less inclined to pay increasing housing costs. “While it seems unlikely we are heading into a recession, there is a high feeling of uncertainty about economic policy and stock indexes, which can tend to cool off buyer sentiment,” she said. Rick Lorenz, a broker with the Wells Group who issues his own quarterly statistical report based on homes in various price brackets, said “bracket creep” – in which inflation pushes a once-attainable home’s price to increasingly unaffordable levels – is probably responsible for a decreasing number of sales of all homes in the county priced from $200,000 to $400,000, a category in which the number of sales dropped by 61 units in 2018 compared with 2017. He noted the number of sales of all homes in the county from $400,000 to $600,000 increased by 13 units. Limited inventory in 2018 continues to squeeze the market, Lorenz said. As of Monday, he said 446 residential units are on the market compared with 463 units on market on the same date in 2017. While the number of transactions isn’t declining at great rates, it is occurring when the region is seeing increased demand from people relocating to Southwest Colorado. Durango’s feeder markets – Texas, Phoenix and Denver – all have strong real estate markets that are allowing retirees to easily finance a move to Southwest Colorado, he added. Erb said La Plata County, with its access to public lands, a four-year college, a good regional airport and a vibrant downtown hub in Durango, is a lure for active retirees, and those market dynamics will continue to draw more retirees. Wells said real estate agents in Santa Fe tell him they are seeing the same dynamic at work there. Relocating baby boomers, he said, are looking at places like Montrose, Salida, Santa Fe and Sedona, Arizona, along with Durango in their search for homes in retirement. Housing supply in La Plata County is still affected by a shortage of workers in the construction trades that hasn’t recovered from the Great Recession in 2008-09, Wells said. “We still don’t have the number of electricians, plumbers and construction trades workers that we had before the recession. As the recession progressed, trades people had to find something to do. Many went into the oil and gas industry and many left the area entirely,” he said. 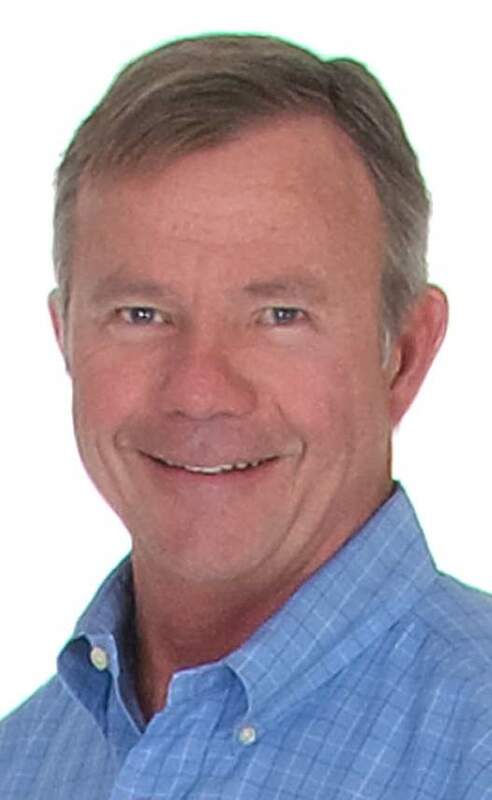 Similar to Durango’s feeder market for new residents, Wells said many trades workers relocated to Texas, California, Phoenix and Denver, and the hot home markets in those cities are likely keeping them from returning to Durango. The skilled workforce in Southwest Colorado, Wells said, is recovering at a slower rate than many real estate brokers anticipated. Increasing interest rates, while less likely to dissuade retirees and second-home owners, are also a drag on locals’ interest in moving to other homes in the area. As local families add more children, Erb said increasing interest rates are keeping them in their existing home and looking at remodels rather than moving to a bigger home. Wells agrees a substantial amount of remodeling is occurring. “People who would have sold and moved are staying put,” he said. By historical standards, interest rates, now around 5 percent, are low, but Wells said rates as low as 3.5 percent in 2016 remain stubborn reminders that cheaper financing was available until just recently. “From 2002 to 2006, we had a robust market with interest rates at 6 percent, but now 5 percent is considered high,” he said. A final factor limiting the number of homes coming on the market, Wells said, is the labor relocation in the oil and gas industry, with workers moving out of the region, which was largely complete by the end of 2017. Homes that had become available by departing oil and gas workers were largely attainable homes that many locals could have afforded, but by 2018, those homes were not coming on the market at rates seen after the Great Recession, Wells said. Wells anticipates the 2019 real estate market will look similar to 2018 with no major changes in dynamics. He expects a good snow year will attract more tourists this year, and that will aid the real estate market. Based on data from the Multiple Listing Service for La Plata County here are the most expensive and least expensive homes bought in 2018, according to Shane Dawson, president of the board of directors for the Durango Area Association of Realtors. Most expensive single-family home with farm and ranch acreage: $7.85 million, 7778 Florida Road (County Road 240). Most expensive single-family home on a lot of fewer than 5 acres: $2.85 million, 257 Goulding Creek Road, 5,649 square feet. Least expensive single-family home: $70,000 7929 Colorado Highway 151.